Priests in Victoria will remain exempt from reporting confessions of child abuse, after the Andrews Government confirmed it was yet to decide whether to strip ministries of secrecy protections. Source: Herald Sun. The Andrews government yesterday released its response to hundreds of recommendations, following the national Royal Commission into Institutional Responses to Child Abuse. It accepted in full 128 recommendations, accepted in principle 165 recommendations and confirmed it would “give further consideration” to 24 recommendations. The government also noted 92 recommendations where responsibility did not rest with it. Among the recommendations it will consider further is the proposal to force priests and other religious ministries to report allegations of abuse disclosed during confession. 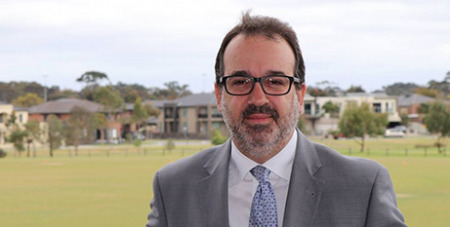 Attorney-General Martin Pakula said Victoria would work with other states and territories, and the federal government, to push forward on national action. “We have delivered a number of recommendations from the Royal Commission into Institutional Responses to Child Sexual Abuse to make sure that survivors of institutional child sexual abuse receive the recognition, respect and support they deserve,” he said. A National Redress Scheme for survivors of institutional sexual abuse commenced on July 1. Victoria has made a number of other changes in light of the royal commission, including the introduction of new child safety standards and a reportable conduct scheme. Child care workers, youth justice workers, school councillors and psychologists will now be included in mandatory reporting laws, ABC News reports. They will be required to report a “reasonable belief” that a sexual offence has been committed, unless they have a “reasonable excuse” for not doing so, such as a fear for their safety. Doctors, police, teachers and nurses are already required to report any suspicion of child abuse. It will also be a crime for adults within organisations who have the power to protect a child from being abused, but fail to do so.